Now that it’s spring, many people are planning out how to optimize their yards for maximum outdoor use and comfort. We all know we should spend more time outside, but it can be difficult to do without a central space for your family and friends to hang out. The solution for many people? A fire pit. Many people get excited about a fire pit and jump right in without considering all the factors. Below, we’ll discuss some landscaping considerations when installing a fire pit. With all the fire pit options out there, it can be difficult to decide whether to buy a fire pit or build one. When it comes to your landscaping, the biggest factor is whether or not you have a place where a fire pit can be all the time. If you do, building one is a great choice, because built-in fire pits can be a lot more stable than portable units, unless you get a campfire ring. If you want something you can move around, then a pre-built unit is best, though you will want to consider that placing those units over grass will kill it, so keep to concrete or dirt portions of your outdoor space. 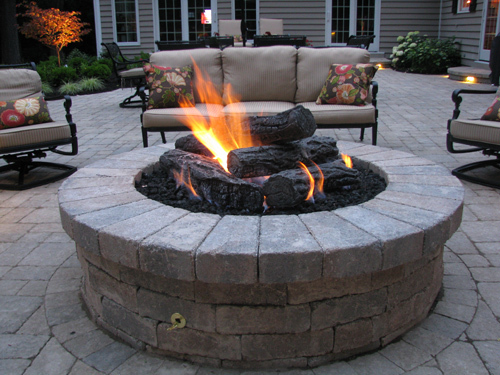 There are a lot of factors that go into where to place your fire pit. 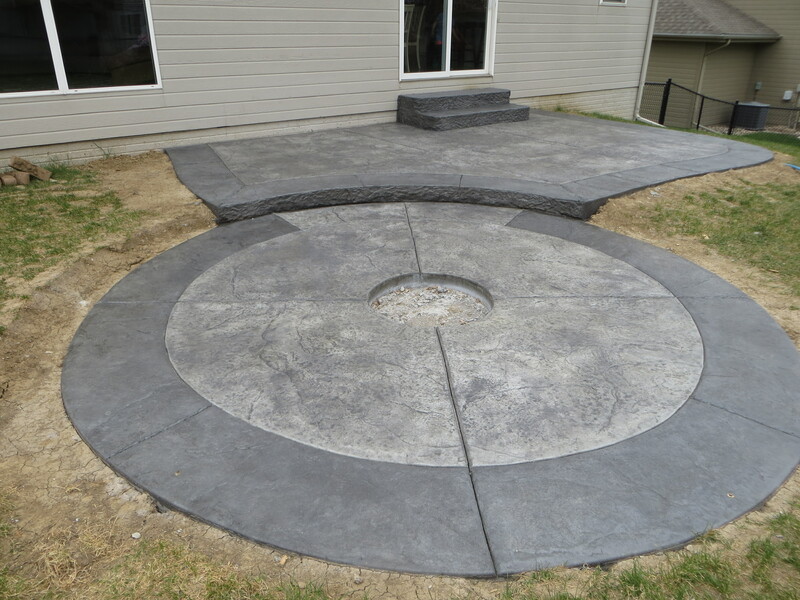 You want to consider how your fire pit will look with the surrounding area. You also want to choose a place where no plants will be harmed. Keep plants as far away from the fire as you keep your kids. If installing a homemade or in-ground pit, you’ll have to check where your water lines are and avoid digging there. When it comes to design, you’ll also want to make sure to place your fire pit where people can be comfortable sitting around it. This could mean a place with plenty of room to move chairs around, or you could build in a permanent seating space. You’ll also want to make sure that people around the fire pit can truly enjoy the rest of your landscaping. So don’t block out the prettiest view in your yard! This only goes for building a fire pit. There are a lot of brick options out there. Make sure you pick a color that matches or complements the rest of your outdoor décor. If you’re building a round fire pit, you’ll have a lot more trouble using regular pavers than if you choose rounded-off stones. Think about the size of the individual bricks compared to the overall size of your fire pit, and then consider your overall space. Check city and county regulations to see if there are any size limits for open pits. Some areas require a license for fire pits larger than 3 feet in diameter. It can be tempting to choose the cheapest bricks you can find, but there are a lot of upsides to investing a little more in your fire pit. Of course, prettier bricks cost more, so spending a little more per brick can dramatically improve the impact the fire pit will have on your landscape. You’ll also find that regular pavers age a lot faster than treated materials. 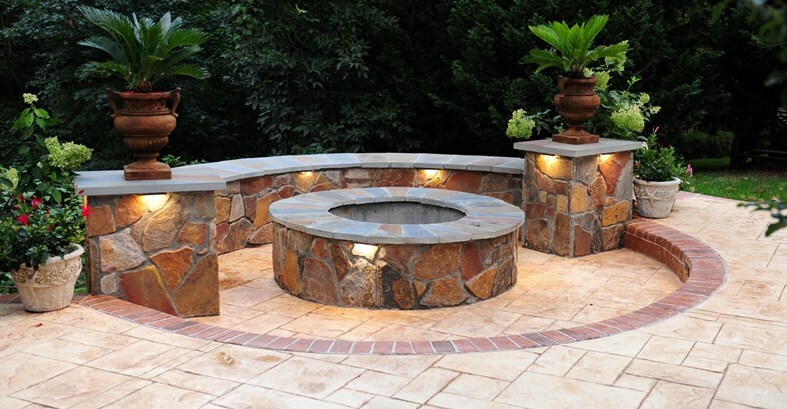 Your fire pit will look better for longer if you buy higher quality bricks or a glaze or treatment for your bricks.